BNP Paribas supports the Fed Cup in Japan and also supports High School Senbatsu Tennis from 2016. 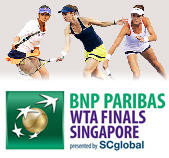 The Fed Cup by BNP Paribas is the women’s premier international team tennis event. The Fed Cup tournament first began in 1963 with the concept of having a women’s team competition. Japan first joined it in 1963 and has ever since been part of the tournaments (excluding 1966-1969). BNP Paribas first became title sponsor in 2005.